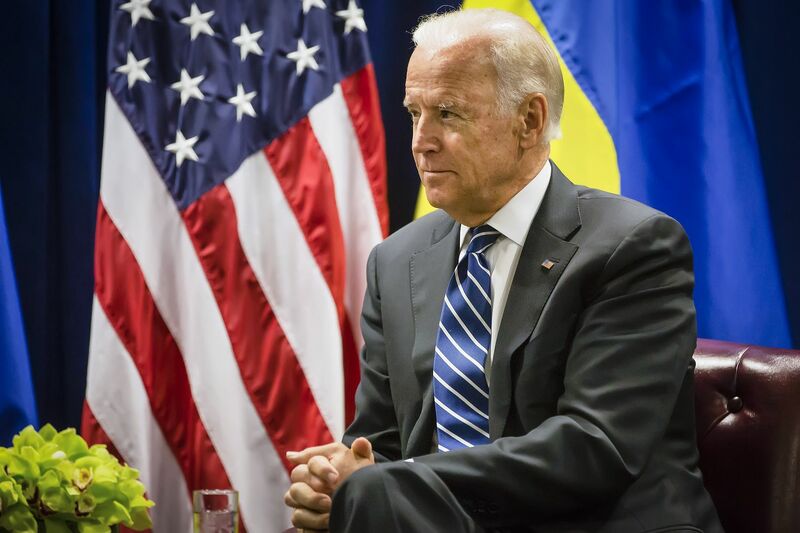 Former Vice President Joe Biden once again just tore apart a new no-strings-attached welfare idea. If jobs disappear because of technology, the government should not just dole out cash handouts to Americans with no strings attached. Universal basic income is a welfare system in which a federal government regularly sends out checks to all Americans regardless of employment or earnings. In essence, it's giving away money for nothing. Tech CEOs are now pushing the universal basic income idea as a response to the technological advances in artificial intelligence and automation potentially eliminating millions of jobs. Richard Branson calls universal basic income inevitable and Mark Zuckerberg thinks "We should explore ideas like universal basic income to make sure that everyone has a cushion to try new ideas." "Americans have always defined themselves by what they do and how they provide for their families. What the idea of a universal basic income misses is that a job is about more than a paycheck. It is about dignity and one's place in their community. What Americans want is a good job and a steady paycheck, not a government check or a consolation prize for missing out on the American dream." "The American people are willing to work and when they work they're entitled to be justly rewarded. That's the American promise." Biden was directly responding to Silicon Valley CEOs who he said made their money building automation. While I appreciate concerns from Silicon Valley executives about what their innovations may do to American incomes, I believe they're selling American workers short. The future will not change the enduring American values that got us here. Our children and grandchildren deserve the promise we've had: the skills to get ahead, the chance to earn a paycheck, and a steady job that rewards hard work." We need more prominent voices to push back on this idea. Once a fringe idea, Americans are increasingly embracing universal basic income. Gallup finds that 48 percent of Americans support the idea of universal – up from just 12 percent a decade ago according to economists. UBI is not a scholarship program from the government to go and take a class as Zuckerberg is suggesting. It's a demoralizing new welfare program that would be massive in scope and size and costly to taxpayers. It's also looking at technology through a glass-half-empty lens. When the industrial revolution transformed our economy, American society workers shifted agrarian work to factories and mills. They were able to take care of their families from the new jobs and industries that emerged. We are likely facing a similar shift which will require that our workforce adapt again. That is a sign of a dynamic economy with a resilient labor force. Giving up on innovation's potential to create new opportunity and just saying let the government take care of people will have devastating impacts on the psyche of workers. The solution to the elimination jobs in the future from technology is not a check from the government but the private and public sectors working together to ensure that Americans are skilled and educated to adjust to a new economy.